Roast the red chillies, grated coconut, poppy seeds, coriander seeds, cumin seeds, green cardamom, cloves, cinnamon and fennel seeds in oil. Grind it to a paste along with ginger and garlic. Add curry leaves and the ground paste and sautT for some time. Add tomatoes, red chilly powder and turmeric powder. Add 2 cups of water and lemon juice. Cover and cook, till the chicken is done. 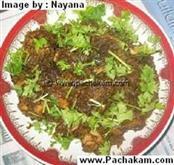 :- Serve hot with rice, chappathi and palappam. 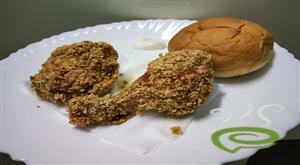 :- We can try this dish without cocunut too. Yes..it is so good..but remember to serve it hot only.great recipe. I tried this and turned out to be very delicious.. Excellent recipe. 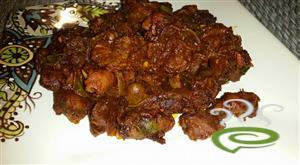 All thanx to u. I was looking for chettinad recipe for a long time. I made a few modifications, added some bay leaf to the roasting mixture and also added 4 small onions while grinding . Once again thanx very much. do keep on posting nice recipes. Now I know others are right. IT S GOOD. Came out great! Nicely written with details too. Wonderful recipe. I tried it today. and it came out really well. My guests loved it too. Thanks a lot! Yes, I agree with the others. Its a fantastic recipe. Thank you for sharing this delicious recipe. The dish was easy to cook and the outcome was gr8. 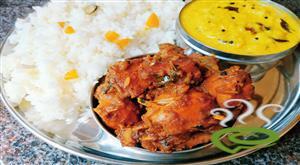 In our family the children really enjoy chicken curry and this turned out to be a gr8 change. thank you very much.it was very tasty on second day. Top notch recipe. Very clear instructions. This was my first ever chicken curry and it was a smashing success. 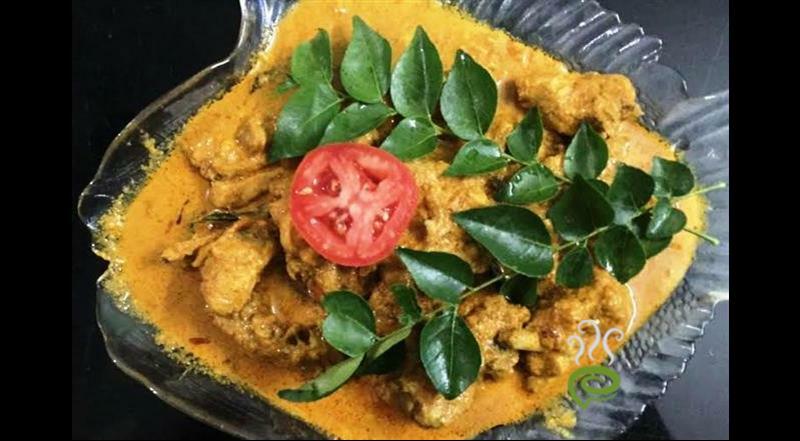 I saw my wife making a face when she tasted the curry and she said that she couldn`t believe that she liked it as well as her curries. Thank you. Excellent recipe! Thanks for sharing it! BTW, at what stage should we add salt? We tried this recipe ... very good. We will be making it again! I tried this recipe and it was good for a change. My husband really like it. Excellent recipe. 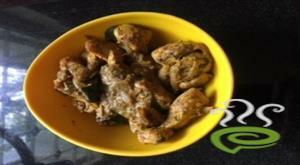 I hate to cook non veg; so my husband cooked it. Was simply amazing (even though we didnt add poppy seeds and fenugreek since they were not available) We had a guest come over for lunch and he was extremely happy with this too. Thanks a million!!! This recipe is really wow.Excellent. 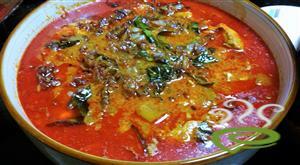 the curry went okay..but since everyone else syas its good,i`m sure it must be good.keep it up!! really good curry...my husband loved it!!! I tried this recipe, it came out extremely well. The whole family loved it. thanks. 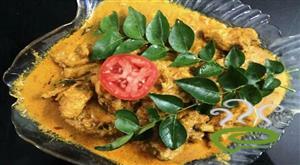 this is a very good recipe, even it turned out really tasty with out coconut also. 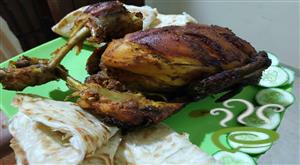 every one at my home liked it. thank u. Very simple to prepare and excellent in taste!! Keep it up!